Are your clients looking for a cosmopolitan city break with fabulous food and wine or a coastal stay with sun-drenched beaches? Or maybe a trip filled with activities and adventures, rich cultural experiences and a bucket-list safari? 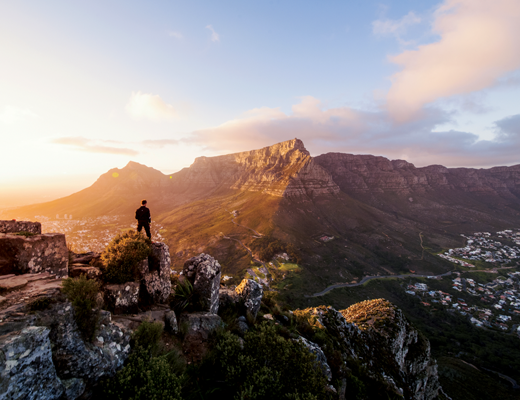 On track to hit its global goal of attracting five million more visitors within the next five years, South Africa has it all and looks set to finally realise its rich potential. New flight routes are also fuelling the charge to the Rainbow Nation, with British Airways offering a thrice-weekly service from London to Durban and an additional four flights per week to Johannesburg from October, plus increased frequency to Cape Town during the summer months. 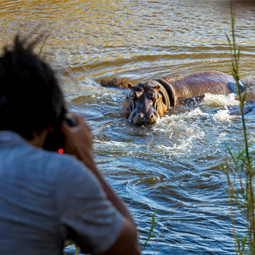 South Africa’s abundant wildlife is one of its main tourist draws, with many placing seeing the ‘Big Five on safari’ in the country’s national parks and private reserves as their number one reason for visiting. Kruger National Park is South Africa’s Maasai Mara or Serengeti – vast, well-established and full of game – but like them it can get hectic. So suggest clients spend a few days in a ‘lesser-known’ private reserve like Madikwe Game Reserve in the malaria-free North West Province, for a more intimate experience. Home to more than 75% of the planet’s remaining rhino population, South Africa is a great spot to see these critically endangered icons. The country’s oldest game reserve, Hluhluwe-Imfolozi Park in KwaZulu-Natal, has one of the world’s largest white rhino populations, while Care for Wild Rhino Sanctuary in Mpumalanga is the world’s largest rhino orphanage. Sell it: Premier Holidays is offering three nights in Johannesburg, at Protea by Marriott Balalaika and four nights at Hippo Hollow in Hazyview, Mpumalanga. Return international flights are with South African Airways and the deal includes transfers. It is priced from £1,539pp. South Africa is blessed with some of the continent’s most mesmerising landscapes. Up there with Rio and Sydney for its spectacular setting, Cape Town’s suburbs sprawl between the mountains, sea and fertile valleys, while the rugged coastline down to the Cape of Good Hope offers wildly beautiful panoramas ending with a lighthouse ‘at the end of the world’. 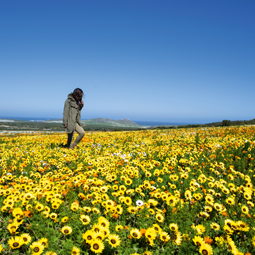 Five hours north from the ‘Mother City’, the west coast’s Namaqualand Flower Route bursts into a riot of colour every August and September. Ancient rock art, golden sandstone cliffs and sweeping plains await in the Drakensberg Mountains near Durban. To the northeast the Makhonjwa Mountains in Mpumalanga Province, known as the Barberton Greenstone Belt, have been added to UNESCO’s World Heritage Site list, bringing the total number of South African sites up to 10. Top tip: In 2019, the Blue Train will be extending its Pretoria to Cape Town (or vice-versa) experience from a one-night to a two-night journey, allowing more time for an off-train excursion at the Kimberley Diamond Mine, known as the ‘Big Hole’. Occupying the African continent’s southern tip, South Africa’s coastline stretches over 1,600 miles, from the border with Namibia on the western Atlantic side up to the northeastern border with Mozambique on the Indian Ocean. Both coasts boast an infinite number of maritime pursuits above and below the waves. The eastern sands that make up Durban’s ‘Golden Mile’ are the warmer choice for a swim or surf, with some excellent resorts around Umhlanga Rocks. Or take a horseback ride along Reunion Beach. Cape Vidal in KwaZulu-Natal has beautiful reefs to explore while the iSiman-galiso Wetland Park World Heritage Site is home to prolific birdlife. Go west and the cooler waters of the Atlantic are a playground for myriad marine marvels. 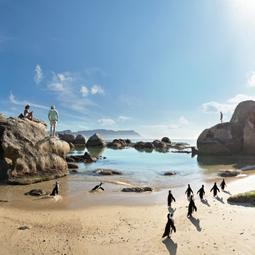 Dive, snorkel, kayak or observe African penguins at Simon’s Town, playful Cape fur seals at Hout Bay, magnificent humpbacks at Hermanus and great white sharks in Kleinbaai. Top tip: Nature lovers travelling the east-coast Garden Route will enjoy the new Morukuru Beach Lodge (morukuru.com) – a boutique eco-hotel in the 36,000 hectare De Hoop Nature Reserve. One of Africa’s most stunning coastal sanctuaries, it offers over 50km of pristine white beaches, with whales, dolphins and seals offshore. 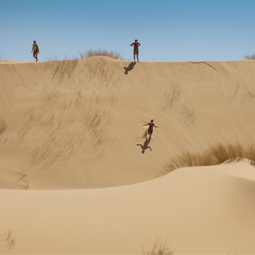 South Africa has more than enough to satisfy travellers who like their holidays infused with shots of adrenalin. How about paragliding off Signal Hill in Cape Town, and gliding down to land on the beach below, or taking a helicopter flight around Table Mountain and the Twelve Apostles mountain range? The enduring Sun City Resort, three hours from Johannesburg, offers mountain biking among giraffes and impalas, safaris in and hot air balloon rides above Pilanesberg National Park, thrill rides at The Valley of the Waves water park, and the world’s fastest zipline, Zip2000, which zooms along for over a mile at 100mph. KwaZulu-Natal’s northern coast offers some of the best conditions to kite surf, while two hours south of Durban the spectacular Oribi Gorge is a great location to abseil – at 540 feet the gorge swing down from Lehr’s waterfall is the highest anywhere. In Durban, ride the world’s only stadium swing, the Big Rush Big Swing, 348 feet above Moses Mabhida Stadium. Sell it: Hayes & Jarvis has three nights at Fairlawns Boutique Hotel & Spa in Johannesburg, three nights at Black Rhino Game Lodge in Pilanesberg and four nights at The Cascades Sun City. From £2,769pp, the deal includes international flights and car hire. Cape Town is one of the world’s most exciting destinations for a city break, with a cosmopolitan dining scene, the wine regions of Stellenbosch, Franschhoek, Paarl and Constantia, and stylish hotels like The Silo, set above the excellent new Museum of Contemporary Art Africa (Zeitz MoCAA), and the funky, new Radisson Red, both located at the lively V&A Waterfront. But don’t ignore Johannesburg and Durban, with entertainment and shopping districts like Sandton in Johannesburg and uShaka Village Walk in Durban. 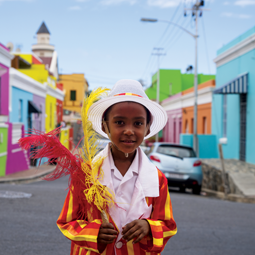 To celebrate the centenary of Nelson Mandela’s birth in 2018, South African Tourism has compiled 100 experiences to connect travellers to the political icon as part of its ‘100 ways to find the Nelson Mandela in you’ campaign. Visitors can trace the timeline of Mandela’s life through visiting places that featured in his life. These include his capture site in KwaZulu-Natal and Liliesleaf Farm in Johannesburg where, as a key member of the ANC, Nelson Mandela lived in secret, posing as a cook and gardener. See the 100 experiences on South African Tourism’s app, Madiba’s Journey. To learn more about South Africa’s Apartheid history, visit the Apartheid Museum in Johannesburg; take a boat to Robben Island off Cape Town, where Mandela was incarcerated; or cycle around Soweto township. For Zulu traditions, cultural village trips and top safaris, suggest KwaZulu-Natal. Sell it: Best of South Africa Travel has three nights at the Radisson Red, Cape Town, two nights at Tintswalo Atlantic, Hout Bay, and three nights at L’Ermitage Chateau & Vilas, Franschhoek. From £1,825pp, with flights.